What’s the best way to end an epic vacation? Plan a layover in a city that you’re pretty ambivalent about before going home. Thanks to our 23-hour overnight layover in Madrid, I wasn’t as depressed returning to the U.S. as I had been when leaving Positano and Milan earlier. I tend to get emotionally attached to certain places, so I look for ways to protect my heart. Anthony and I didn’t want to waste our layover at a hotel, so our plan was to roam around the city and hop into different places throughout the night. 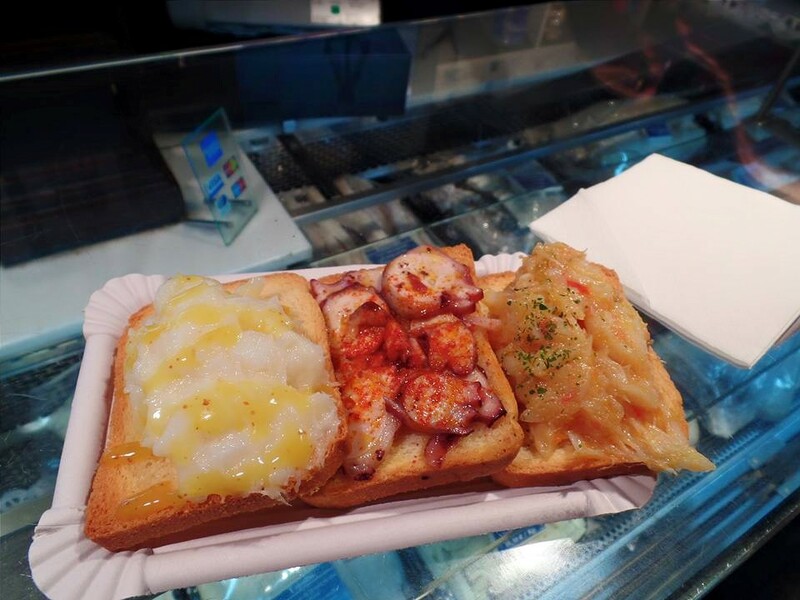 Coincidentally, Spaniards are known for staying out late, so Madrid was an ideal place for this all-night venture. We started in one of the most touristy parts of Madrid, Puerta del Sol, which means “Gate of the Sun”. It was originally one of the gates in a huge wall that surrounded Madrid in the 15th century. When we arrived, there was a mariachi band playing in front of an imposing statue, which at first made perfect sense, like finding a hula dancer performing in the middle of Waikiki. But then we remembered — hey, wait a minute, mariachi is from Mexico! Wrong continent, guys. The area reminded me of Rome, with old buildings, cobblestone roads, and perfect uplighting. We stumbled into a tapas bar called La Antoñita and were led all the way back into a courtyard perfect for intimate meals. We ordered some charcuterie and a glass of rioja. Holy smokes, Spain, I finally get it. I understand now why Spanish ham has such hype. Our plate of charcuterie included jamón ibérico, which melted in our mouths and was nothing like those sad cold cuts you buy in American grocery stores. Jamón ibérico is made from black Iberian pigs in Spain and Portugal. After the fattened pigs follow a strict diet of barley, maize, olive, and acorns, the ham is salted and dried for two weeks, dried for another four to six weeks, then cured for at least twelve months. 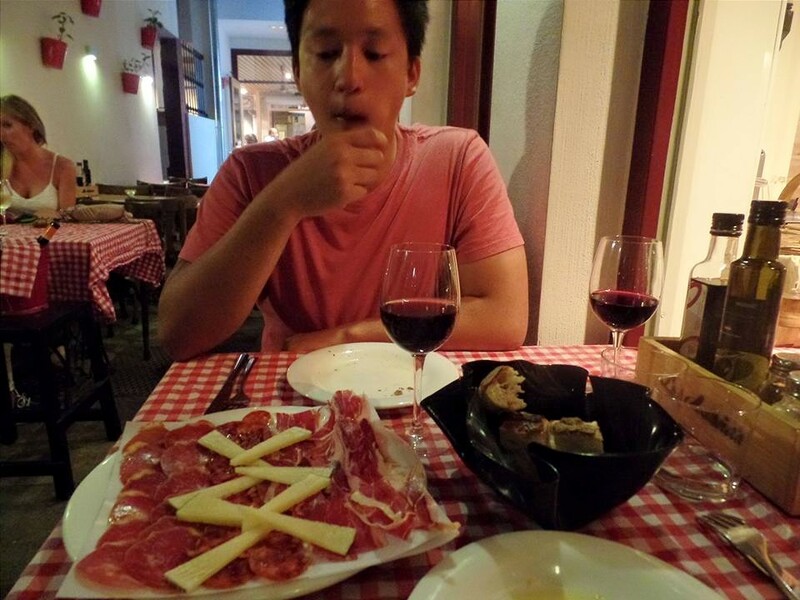 I would travel to Spain again just to eat more ham. After wandering around the city and passing through the famous Plaza Mayor, we decided it was time for dessert and headed to Chocolatería San Ginés. 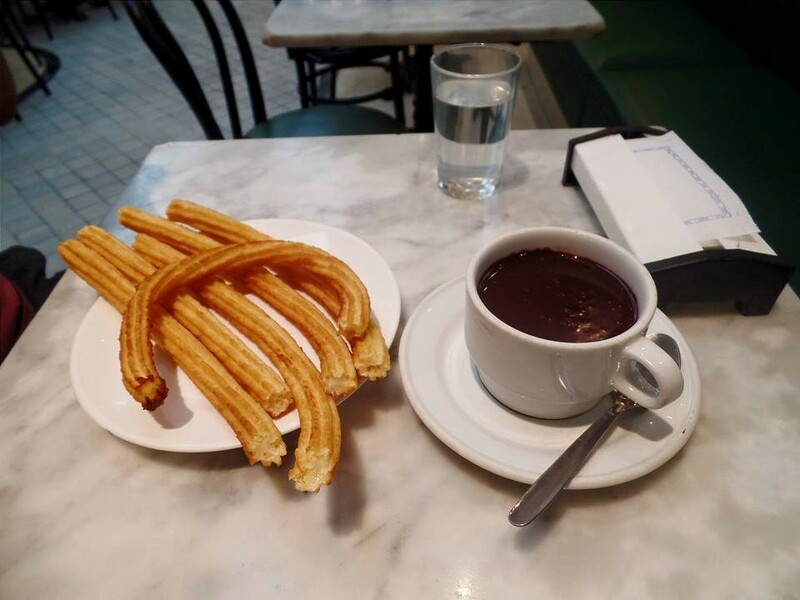 This famous café has been serving chocolate con churros (hot chocolate and churros) since 1894. It didn’t close until 7 am, making it the perfect place to hang out overnight. The interior felt like an upscale diner, with lots of mirrors, wood paneling, green velvet seats, and marble tables. The thick, strong, dark hot chocolate was served in a mug, and the churros were light and crispy. We must have sat there for hours, slowly eating our churros and noticing the waves of crowds trickling in throughout the night. The workers were so kind, always giving us free water and never questioning our stay. During our time there, Anthony taught me how to play Griddlers, a picture logic puzzle that he had been playing on subway rides back home. I ended up becoming quite addicted to Griddlers. He later told me that this moment was one of his favorites on our entire trip. Eventually, we were too tired to even sit still, so we left Chocolatería San Ginés and continued our journey. It was extremely late by then — especially for us, as we’re usually in bed by 11 every night — and roaming around in a foreign but somehow familiar city felt surreal. As we were walking, we heard a huge truck racing down the street. It hastily swerved past us, and just as Anthony turned his head to glare at the driver, the truck stopped and started backing up slowly, straight into a huge awning. The truck knocked off the entire awning, which landed right on top of a woman sitting at an outdoor restaurant. Glass was shattered, and the woman was completely bent forward onto the table. She remained motionless as we cautiously walked toward her. Surprisingly, the woman eventually stood up and looked shocked more than anything else. It was a terrifying incident to witness, but as more and more people arrived to help her, we knew we could be of no use — especially with our level of Spanish — and left the scene. Surreal, right? We made our way to Retiro Park, one of the largest parks in Madrid. It once belonged to the Spanish Monarchy but became a public park in the late 19th century. The night was windy, so we had to huddle together for warmth. By the crack of dawn, dozens of joggers were out and about, and we noticed how fancy the neighboring area is. 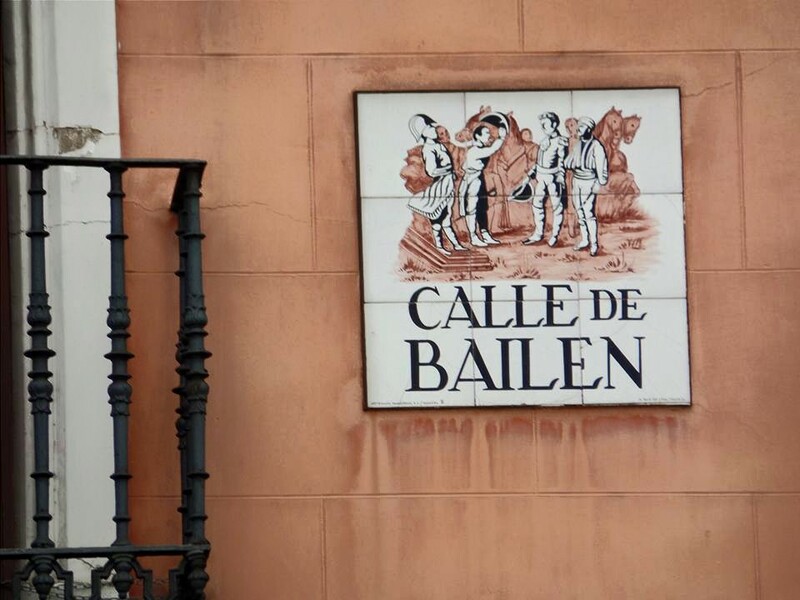 Streets in Madrid have signs with graphics on the buildings. This is the dancing street, obviously. In the daytime, the city felt different. Last night, we had been surrounded by shady study abroad students and late-night locals. Now we passed tourists and office workers starting their day. We spent the rest of our time in Madrid eating and sightseeing, napping in front of an opera house, and walking through palace gardens. We had more amazing jamón ibérico for breakfast at a cheap cafe, and then shared paella and tapas at a food market that felt just like Brooklyn. We missed Rick Steves, whose guide books had been so useful in Italy and Paris. I hadn’t bothered to buy a guide book for Madrid since we had less than a day here, but I regretted that decision, as we could sense the lack of commentary as we meandered through town. By the time we had to return to the airport, I was emotionally ready to go home. Madrid had been more fun than I expected, but, at the same time, felt bizarre. It had put enough distance between Italy and New York, and now my heart was sufficiently protected. My first day back in New York was beautiful, with clear blue skies, 80-degree weather, and little humidity. It was as if New York knew it had to impress me. When I left my apartment to go to work, I was faced with film trailers parked all along our street. In New York, you get used to your street being used for films, but, after being in awe of so many places the past few weeks, it was a nice reminder that other people are actually in awe of your home. The ease with which I was able to refill my Metrocard was much appreciated after struggling with other cities’ transit systems. And once I got onto the train, I relished the blast of air-conditioning that filled each car. I got off at my stop near Columbus Circle and was overwhelmed by how attractive this area is. As I walked to work, I noticed some European tourists and was excited for them. 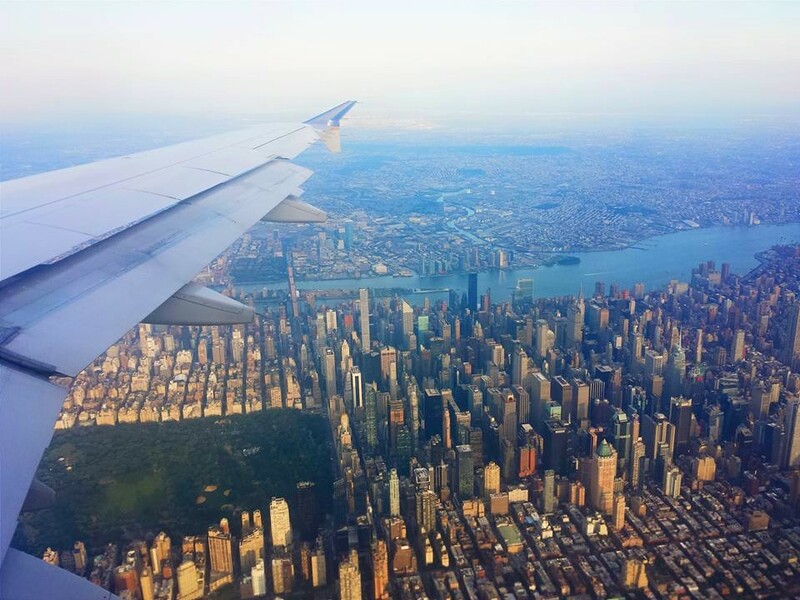 Glad to be back, New York! If you’re like me and get emotionally attached to places, plan to have a long layover in a city that doesn’t intrigue you. In fact, make it a challenging layover like ours. Instead of getting a hotel room, we roamed around all night, so we were looking forward to a bed — any bed, even a bed back in America. Layovers are a great way to explore a city that you wouldn’t necessarily want to visit for its own sake. As long as you have at least five hours, I would definitely recommend leaving your luggage at the airport and finding the quickest way into town. You can control how long your layover is with a little trick that I learned while planning for my next international trip: I needed to fly from Manila to New York but noticed that most of the cheap flights had layovers in Seoul, a city that I would love to visit. Unfortunately, the layovers were just a few hours long. Since I wanted at least a few days in Seoul, I changed my search to a multi-city search: Manila to Seoul, and Seoul to New York two days later. For the same price of a flight from Manila to New York, I can now have my two-day layover in Seoul. If you want to avoid paying for a hotel on an overnight layover like we did, do a little research first. Make sure you’ll be in a city that is safe at night. We lucked out because Madrid is alive practically all night. Then, have some late-night places in mind that can be hangouts when you’re too tired to roam around. We didn’t just stumble into Chocolatería San Ginés; I had found it online and knew that it would be open all night and was a good place to hang out.